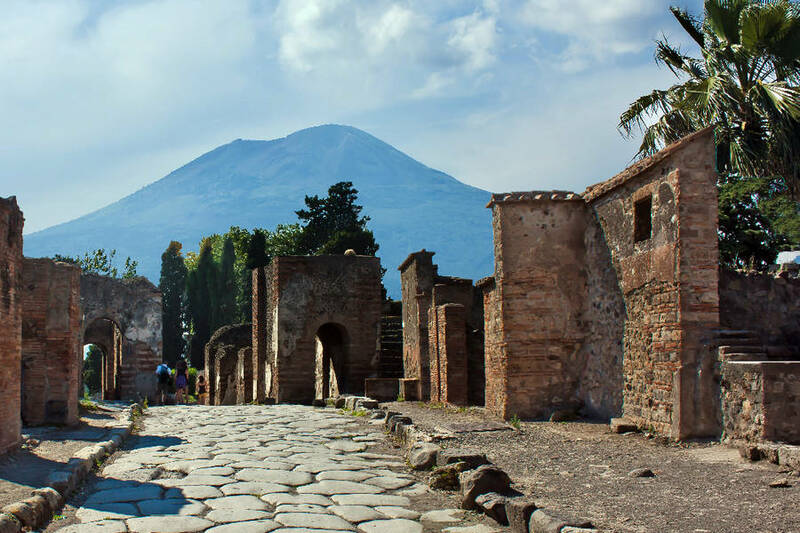 Go back in time with Capritime to the ancient city of Pompeii, and explore the beautiful volcanic peak of Mount Vesuvius looming over Naples and the Gulf, which led to this vibrant Roman city's demise. 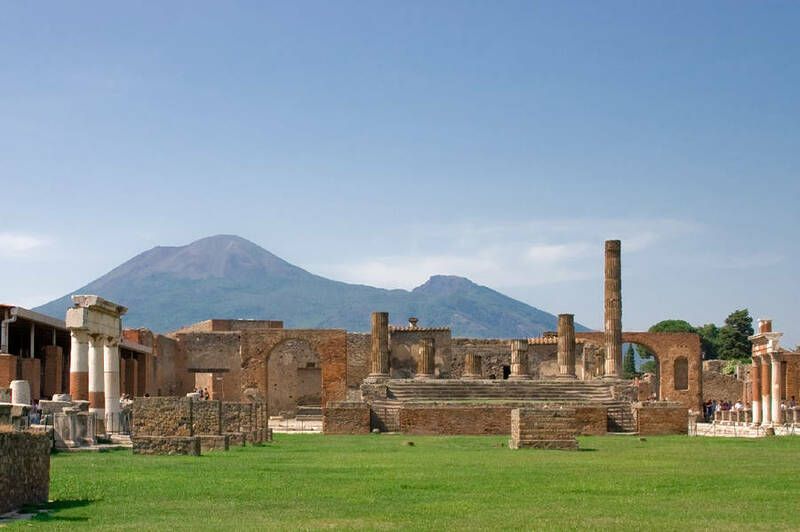 The city of Pompeii was probably first inhabited in the VII century B.C. and founded by the Osci, an ancient Italic population. It later became one of the most important merchant ports of the Roman Empire. 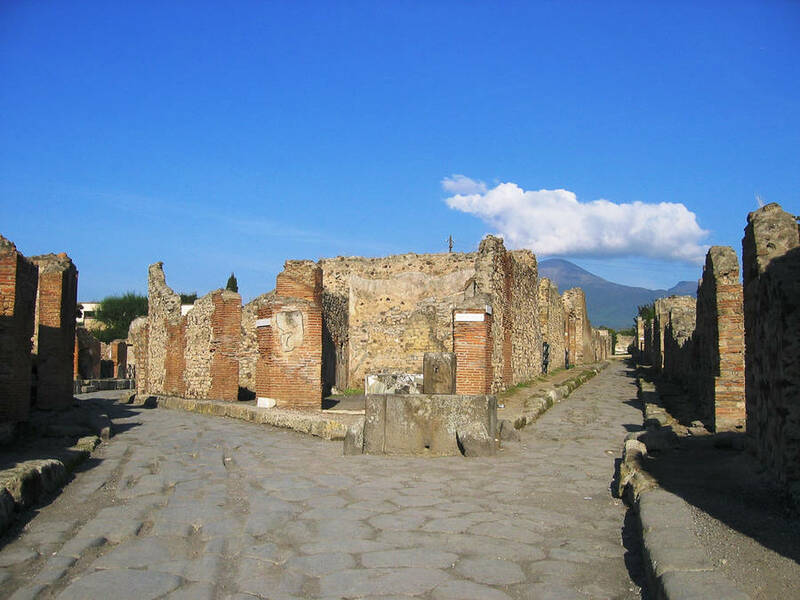 The city was at the height of its wealth by the time Mount Vesuvius suddenly determined its end, with a devastating eruption in 79 A.D.
Pompeii's dramatic burial took just three days and two nights. 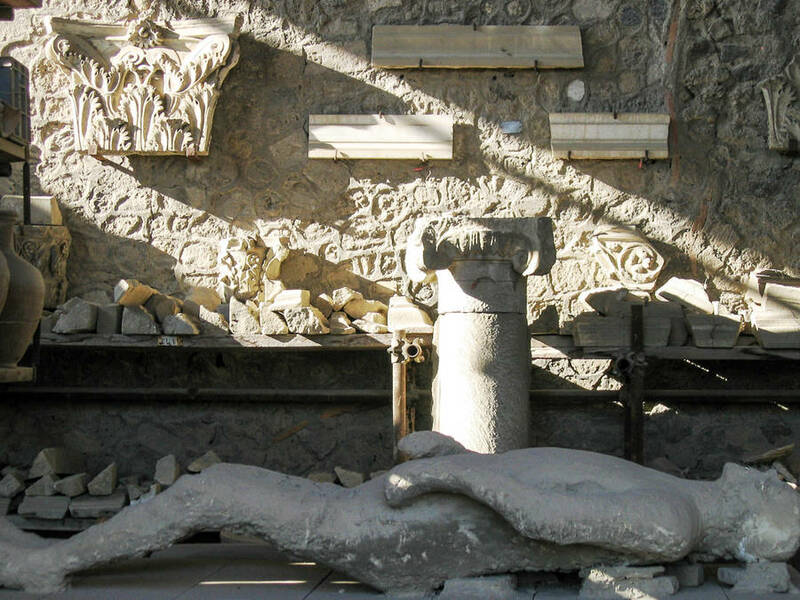 Hot volcanic ashes completely covered the city and trapped its inhabitants, leaving us with a still life picture of the Roman ways of the period. 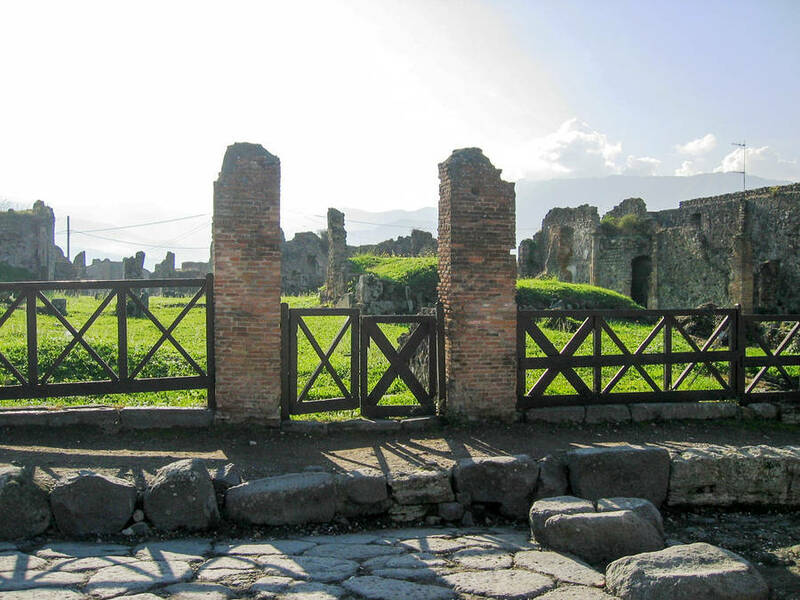 Pompeii was rediscovered only by chance in 1748, when the Bourbon Kings started its excavations. 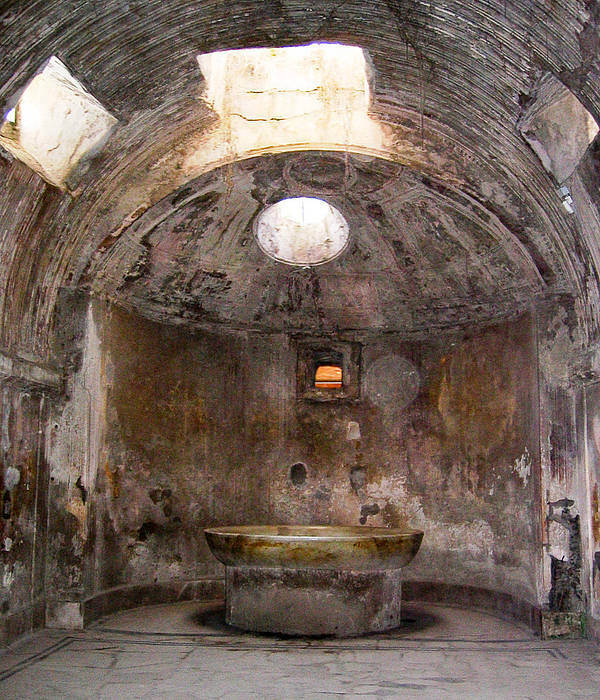 Since Pompeii was not destroyed but just "sealed off" by volcanic materials, its preservation is unique in the world. 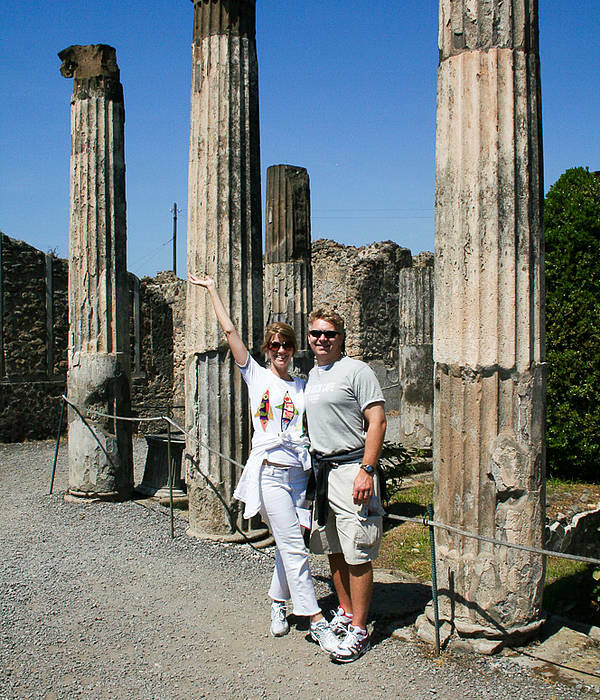 When you visit Pompeii, you literally travel backwards in time. 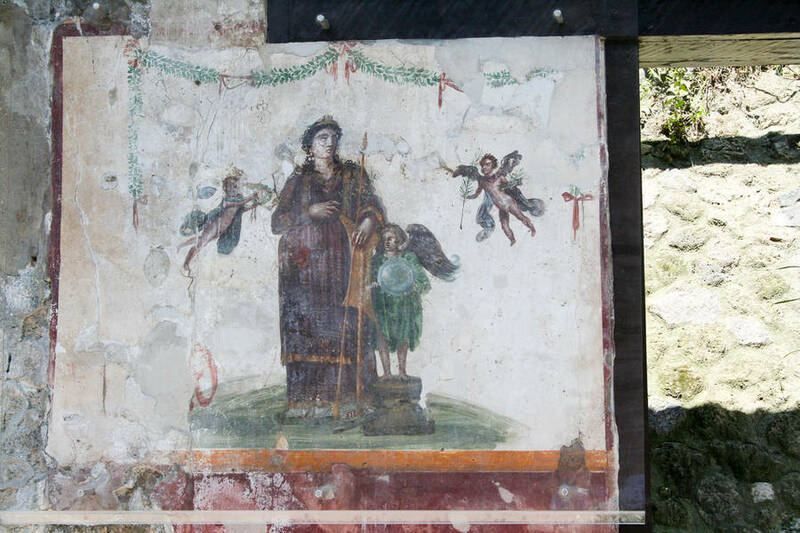 Streets, shops, villas, baths are all intact, with still bright frescoes and mosaics. 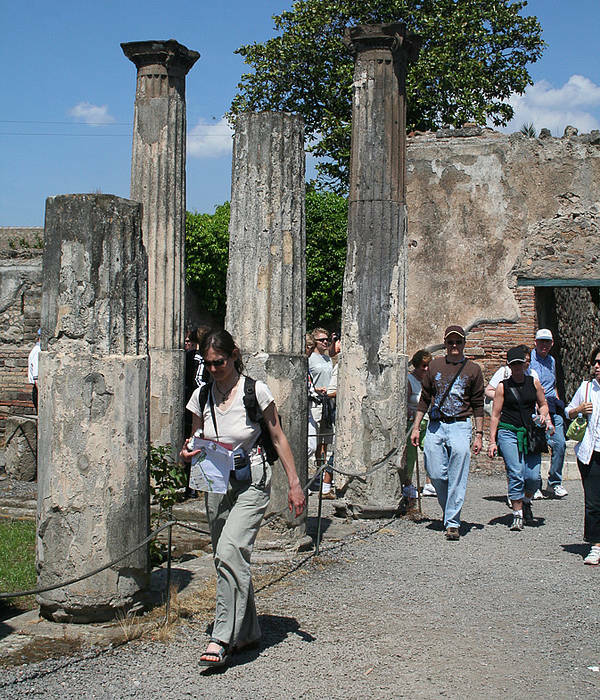 In this tour, you will admire the Forum area with its public buildings, the temples, the market place, the spas, and the "domus" of rich Roman merchants. 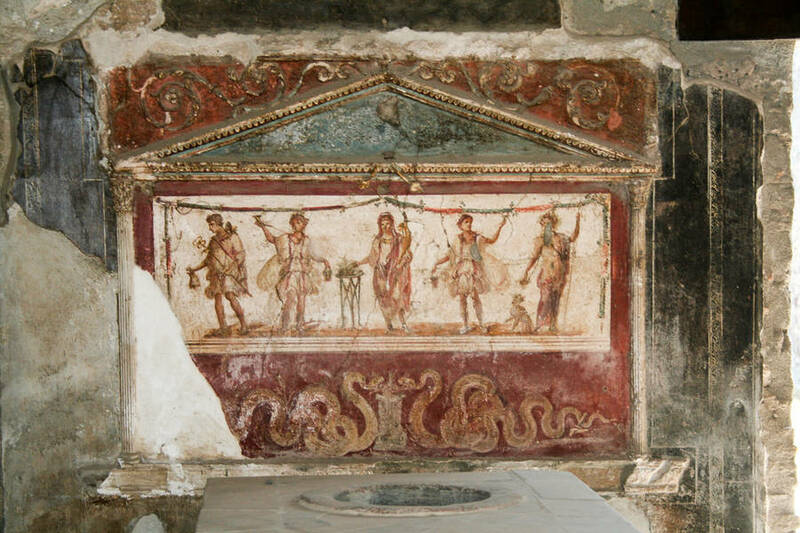 In the afternoon, the visit will continue with the Archeological Museum of Naples, which houses the treasures discovered at Pompeii and Herculaneum, as well as the Farnese Collection of extraordinary Classical sculpture. Through the mosaic and everyday life objects we will discover how life ran in the homes over 2000 years ago. Our tour will start from the visit to the crater of the Solfatara, located about 10 kms. from Naples in the area of the Phlegrean Fields. It is without doubt one of the most interesting volcanoes of the region and it is characterized by " umaroles " and " bradyseism ", described as secondary volcanic phenomena. On the other side of the bay, we shall climb Mount Vesuvius (1277 mt.) 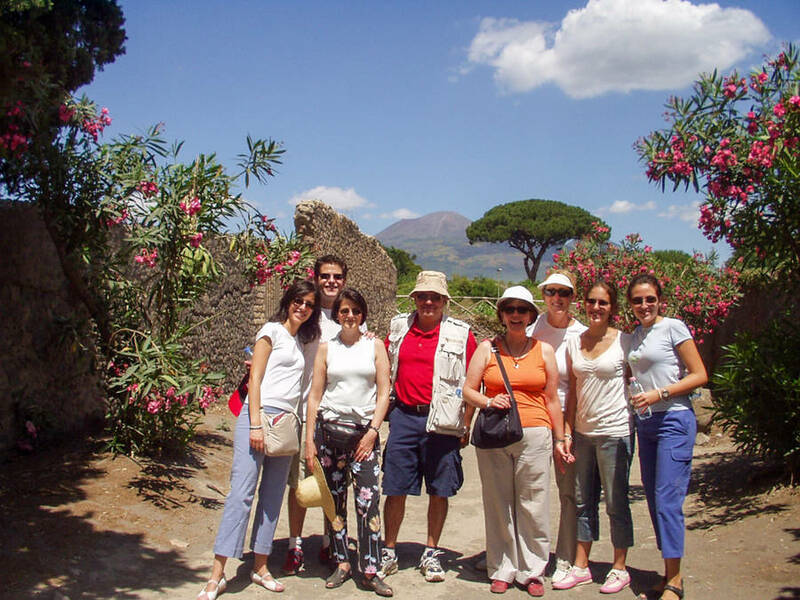 , a world-wide known and still active volcano, which dominates the landscape of Naples. After 79 A.D., when it buried the city of Pompeii, Vesuvius exploded frequently until 1631, when there was another violent eruption. After a period of inactivity until 1799, a series of eruptions alternated with quiet periods. Since 1944, year of the latest explosion, Vesuvius has been quiet. Among flows of solidified lava and brooms, rocks and eruption materials you will be driven all the way up (3,000 feet) where those who wish will have the opportunity to walk up to the top of the crater (1,000 feet - 40 minute walk) to the edge of the crater. 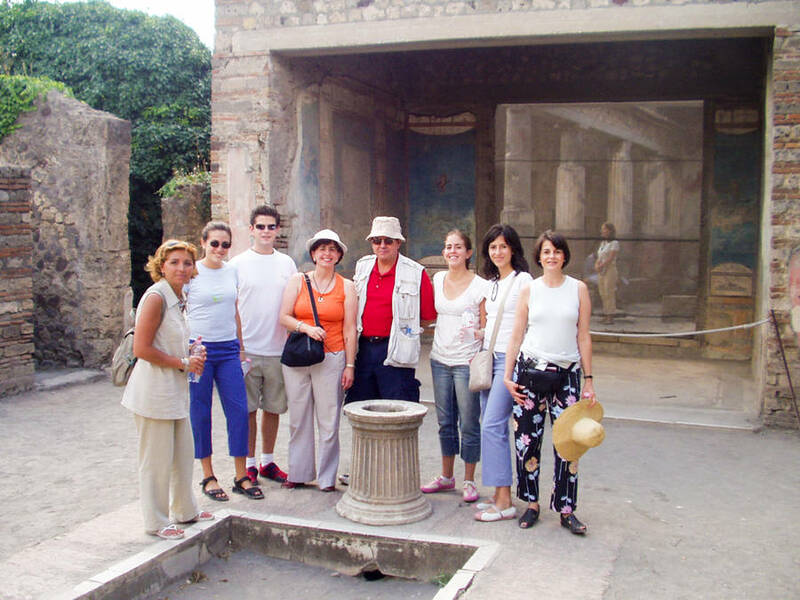 After lunch, we shall visit one of the most interesting archaeological sites of the bay: the city of Herculaneum, a holiday resort at the Roman times, so famous for its namesake, Hercules, beautifully located at the foot of Vesuvio. The city was submerged in 79 A.D. by mud slides, leaving us an extraordinary amount of material witnessing its daily life. In fact you, will be able to see the city just as it was at the moment it was abandoned by its inhabitants, with furniture, shops and public buildings. We recommend hiking attire and shoes for this excursion. 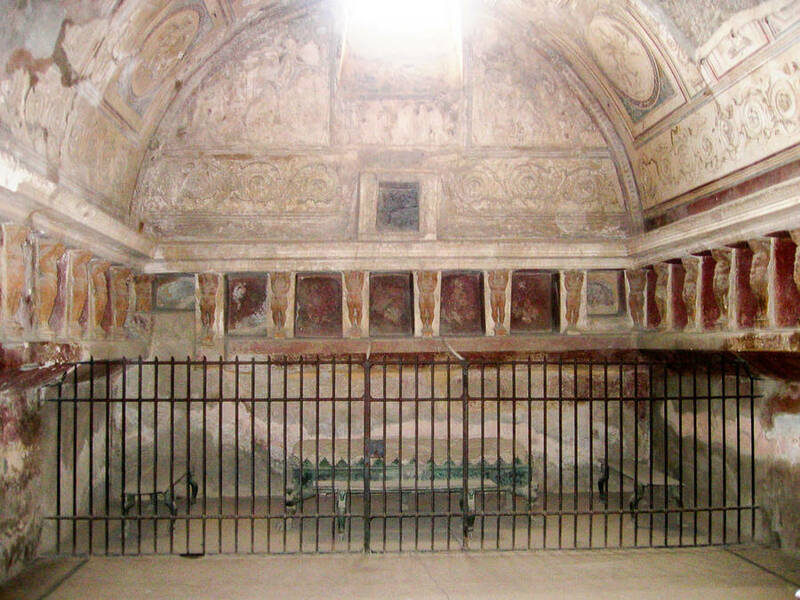 This tour can also be arranged without a stop at the Solfatara di Pozzuoli.